People who fill out an Allegiant Air application are trying to join a company that strives to great service and to take people to warmer destinations. The company also tries to offer nonstop flights from smaller cities to big name locations. Links to apply for jobs at Allegiant Air are at the bottom of the page. Allegiant Air is a fairly young airline, having started service in 1998 after dealing with name disputes as they originally wanted to call themselves WestJet Express. The first regularly scheduled flight was out of Las Vegas, where the company is headquartered. At the beginning, Allegiant Air focused their attention on Californian cities; however, the company was forced to file for chapter eleven bankruptcy protection in 2000 and reorganize. Mid-2001 revealed a new market strategy for Allegiant Air with a concentration on smaller markets that usually were ignored by the larger airlines. By 2002, they were out of bankruptcy and signed a long-term contract with Harrah’s Entertainment (now Caesars Entertainment) to offer charter services to Las Vegas. Throughout the next ten years, Allegiant Air continued to grow, expanding their fleet and beginning to fly across the country. Besides their regular, scheduled flights, Allegiant Air also does charter flights throughout the United States, Canada, and Mexico. They have seventy-four planes in their fleet to fly to their one hundred regularly scheduled destinations. In order to keep their planes moving, the company has over eighteen hundred employees. There are several positions available at Allegiant Air’s corporate level, which is located in Enterprise, Nevada, just outside of Las Vegas. Most of the positions are devoted to making sure that the company is running smoothly and that all flights are making their destinations on time. The local positions that are open are available across the country. Within those positions, there are various places for people to work, either on or around the planes or in working directly with customers. As there are several airports that Allegiant Air flies out of, you could work at any one of them. How old do you have to be to work at Allegiant Air? Age requirements vary by job; however, to be a flight attendant, you must be over twenty-one. As you browse Allegiant Air jobs online, make sure to read all job descriptions closely as some positions will require various experiences, certifications, or degrees. Those with Allegiant Air careers do get several benefits including healthcare insurance, a competitive 401K, free traveling for friends and family, and discounted travel on partner airlines. The company encourages their employees to lead healthy lifestyles, offering them a wellness program and various incentives to get or maintain their health. Quality Control Representative Heavy Maintenance – In order to keep the company’s fleet in the air, you will make sure that all old planes and new planes are working properly and are repaired to company and FAA standards. Compensation is around $45,000 a year. A&P (Airframe and Power Plant) Mechanic – By performing needed maintenance on planes, you will make sure that they meet FAA, company, and manufacturing standards before and after you finish working on the plane. As you do your daily duties on planes, you will keep an eye out for any worn or damaged parts to make sure that they are replaced before the plane flies again. Compensation is around $50,000 a year. Brand Manager – You will make sure that the company brand is presented consistently in all forms of media and in the purchases that customers make. By doing research into how people travel and what people are interested in the brand, you’ll devise a strategy to make the company even more successful. Compensation is around $75,000 a year. Customer Service/Ground Operations Agent – As customers, both charter and regular, come to the gate, you will take their tickets, check baggage, assign seats, and make sure that carry-on baggage meets the required quantity and doesn’t exceed the maximum size. Compensation is around $20,000 a year. Flight Attendant – You are the front lines of customer service for this company as you’ll strive to provide all the customers on your flight all the comforts and security that you can. By taking care of the guests and doing pre-flight checks to make sure that everything is working properly, you’ll aid in making sure that it is a smooth flight. Compensation is around $35,000 a year. Why do you want to work for Allegiant Air? This is an extremely common interview question, so you should be prepared for it. Talk about what drew you to the company, whether it was the company culture or benefits and why it’s your first choice in places to work. What experience do you have? Make sure to highlight all relevant experience that you have. If you’re applying for a flight attendant position, make sure to talk about any customer service experience that you’ve done before. Use plenty of examples to highlight all your experience. Where do you see yourself in the next few years? Your interviewer is looking to see if you’re planning on staying with the company. Be realistic in your career expectations, but make sure that they know that you’re willing to take on extra challenges and responsibilities in order to move up in the company. As this company is driven by customer experiences, you may be asked this question in the form of a hypothetical situation, especially if you’ll be working with customers: How would you take care of an upset customer? Be practical and realistic as you explain the logic behind your actions in order to turn the customer’s experience around. If you’re working with the planes, it’s going to be expected that you can lift carry heavy items, so you may be asked this question: How much can you lift? Be honest and explain if there’s anything that could keep you from doing the heavy lifting that is a big part of the job. How to apply for Allegiant Air online: search for the position that you’re interested in, and when you find it, make sure to read all the requirements closely before filling out your Allegiant Air application. 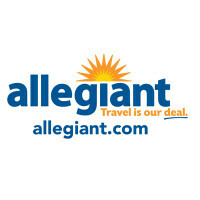 There is no printable application for Allegiant Air on their website. Before attending your interview, do research on Allegiant Air and the industry in order to come up with a list of a list of questions that you can ask. This may seem excessive, especially for an entry level position, but it will place you in front of other candidates as it shows that you think ahead. Your interview will be conducted in a formal manner, so dress appropriately in business casual at the very least. If you’ve applied for managerial, supervisory, or corporate level position, make sure to dress in a suit as it is more appropriate. Have a positive and friendly attitude, as it will give a good impression. Make sure to show gratitude at the opportunity to interview with Allegiant Air. After your interview, inquire about the best way to check on your hiring status as few applicants will learn if they got the position during their interview as the company will want to screen all candidates before making a final decision. Norwegian Cruise Line: For employment at Norwegian Cruise Line visit the application page. Silversea Cruises: Checkout the application page for work at Silversea Cruises. Etihad Airways: Visit the Etihad Airways application. Spirit Airlines: Spirit Airlines offers opportunities for both, beginners and experienced roles. Qatar Airways: See our resource page for more information on Qatar Airways careers.